Radio Flyer has been producing toys in the United States for 101 years. Originally known for its wooden wagons that were created by a 16-year-old Italian immigrant, Radio Flyer would eventually produce a tricycle that would become part of the landscape of the depictions of Americana. The Radio Flyer Red Tricycle has become a staple in the toy collections of children all around the world, as the Radio Flyer Tricycle is one of the first tools in the learning of bike riding and balance in young children. The tricycle is made of durable and sturdy materials of steel, chrome, and rubber. The seat is adjustable so that as your child grows they can continue to use the tricycle until they can graduate to a bigger bike. 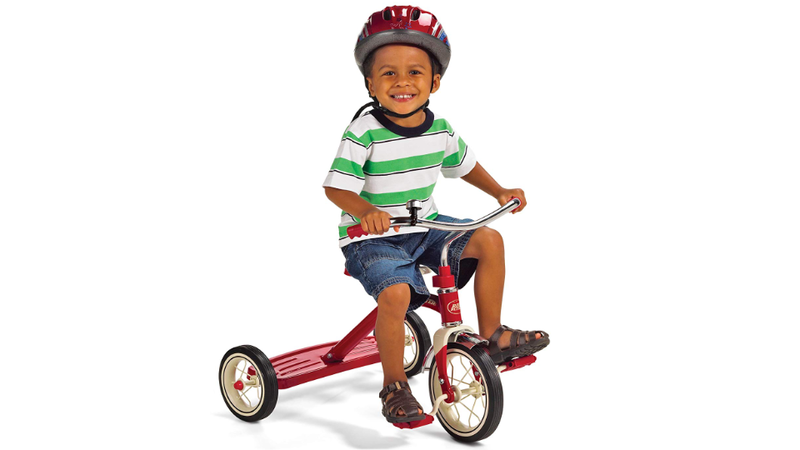 The Radio Flyer Tricycle is made of materials that are strong and long lasting. The body of the tricycle is made of chrome and steel. The handlebars and fenders and bell are made of chrome. The body of the Radio Flyer Tricycle is made of steel that creates a strong, durable base and adds weight to the tricycle helping to keep it grounded. The front wheel of the tricycle is made of steel spokes that are strong enough to keep the tricycle balanced. The wheel is also made out of real rubber and has a diameter of 10 inches. The back wheels are also made of rubber and there is a step on the back of the bike that allows for easy getting on and getting off safely without falling. The tricycle is also designed with a controlled turning radius that prevents the tricycle from tipping over during turns or causing the child to fall off the trike because of an imbalance of weight. The seat of the tricycle is adjustable allowing for a child to move the seat up and down depending on who is riding. If the bike is being shared by multiple children, then anyone can use it. If the trike is being used by only one child, the seat will be adjusted according to their growth allowing for the child to continue to use the Radio Flyer Tricycle until they outgrow it for a bigger more adult tricycle that can be converted into a bicycle. Tricycles should always be operated with adult supervision. The Radio Flyer Tricycle is recommended for children two-years-old to four-years-old. It is also advised that children who are riding on the Radio Flyer Tricycle wear a helmet to protect their heads in the unlikely event of a fall. Although the Radio Flyer Tricycle is built with a controlled turning radius that prevents the bike from tipping, the bike can still tip over on uneven terrain so parental supervision is advised in the event that your child does fall off of the bike. The rear portion of the bike is equipped with a step so that smaller children can get on and off the bike with ease preventing any initial falling that could deter the child from using the tricycle and gaining the benefits of developing important balance and motor skills as well as developing the courage needed to try something new. The Radio Flyer Tricycle requires a lot of assembly. Upon delivery, the bike comes in several parts. Many parents have found that it does not take too long to assemble the trike and they have found it quite easy to put everything together. With the use of your own wrench, you will have to attach the back wheels to the step then attach the step to the main steel bar of the body. Once that is complete, the front wheel with pedals gets attached to the main body bar, and finally the handlebars get placed onto the same main body rod. There are clamps and screws that get tightened as you go along assembling the bike. It is recommended using an adjustable wrench to assemble the bike. It is also recommended that you don’t tighten the screws too much as this might prevent the handlebars from being able to freely move. Having the handlebars too tight may also result in the bike tipping over and causing injury. Like any sport equipment or any toy that does not require batteries or a television, the Radio Flyer Tricycle promotes outdoor exercise and using the mind and body in the promoting of and building of physical endurance. The act of riding on a tricycle has a lot of health benefits, and the Radio Flyer Tricycle has the ability to give those benefits to your child. Because tricycle riding is an outdoor activity, kids are given a good reason to get out of the house, away from tablets, smartphones, and the television and into settings that not only give them the space to exercise and move, but also put young kids in a social setting where they may be at a park or playground and mingle with other kids. The Radio Flyer Tricycle not only helps with the physical benefits of being active, but the social benefits of being active as well. 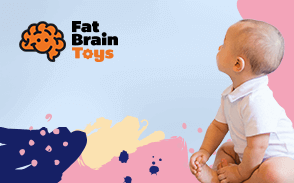 Young children, through their toys, will have the ability to socialize and make friends and learn to share, play with others, and interact on a healthy level. Radio Flyer Tricycles have been considered the best way to introduce kids into the exercise of bike riding. The construction of the tricycle is sturdy and has safety measures designed into it that help kids feel confident and feel safe enough to ride a bike. The three wheels allow children to safely learn balance while they also learn how to steer the trike. Tricycle riding helps to not only develop motor skills of using the legs while balancing, but it also works on depth perception and hand-eye coordination, which is not only beneficial in the areas of learning to run and walk, but it also helps in the event that your child becomes involved with sports and other physical activities. The skills learned while riding a trike develop further into all areas of a child’s life as they begin to develop and grow. The Radio Flyer Tricycle is designed for children between two and two and a half years old to four years old. Any child more than four years old or 48 lbs. will not need to receive the benefits of the Radio Flyer trike. The trike has been built for younger children who are developing their bike riding and motor skills. The width of the handlebars and the distance off the ground including the 10” radius of the front tire are all in collaboration with a child of a certain height and weight class that usually falls in the age range of two to four years old. Older children will not be able to fit on the trike and pedal properly and their weight may also cause the bike to tip over causing an injury. The Radio Flyer Tricycle comes equipped with a bell. The bell, which has long been associated with bike riding for ages will entertain your toddler as they ride around the neighborhood. Although the constant ringing of the bell may cause some annoyance after awhile, it also adds an extra level of safety. The ringing of the bell alerts parents to where their child is located and the bell also teaches children how to ride safely around other children and people and to use the bell when it is necessary in order to create and maintain a safe environment when playing. Parents can also buy streamers for the handlebars. The streamers do not come with the tricycle and must be purchased separately, but they are a great addition to the trike and they are also an addition that children love. The streamers blowing in the wind as a child rides their trike brings them enjoyment and enhances the experience of riding the tricycle. As with adults on motorcycles or bicycles, it is advised and required that all children riding the Radio Flyer Tricycle wear a helmet. Many state laws require that children wear protective head gear when on a tricycle or bicycle. Even though the Radio Flyer Tricycle has been designed to not tip over in the event of a sharp turn or sharp movement of the handlebars, the trike is not tip or accident proof. There is always the possibility that uneven payment, other children, or the collision with other toys, trikes, or bikes could cause a child to fall off the Radio Flyer Tricycle. Because of that fact, the risk of serious head injury is possible, but the helmet will prevent that from happening. The act of wearing a helmet is also a good method to teach kids about bike safety and safety in general. Since the tricycle is promoting exercise and good health, children will get to experience what it is to take responsibility of their health by ensuring that they keep themselves safe as well as the other children that they play with. 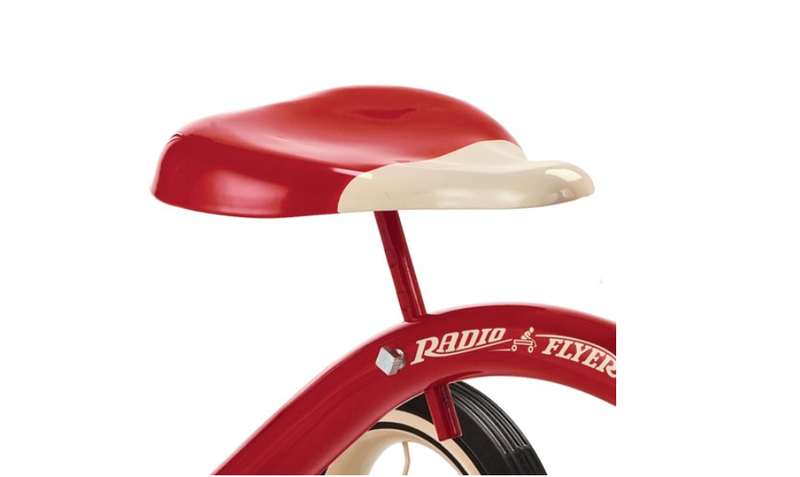 Radio Flyer sells their own bike/trike helmet with the Radio Flyer logo that compliments the tricycle by not only having the same Radio Flyer brand sticker as what is on the bike, but the helmet also comes in the same color as the trike so that your child will match. Radio Flyer has grown to be one of the most trusted brands in toy making. A young Italian immigrant named Antonio Pasin, who had a passion for woodwork, started making wagons and soon other types of bikes and tricycles followed. Because of the high quality of the work and the creator’s smart head for business, Radio Flyer is still manufacturing tricycles today. With so much history and with so much talent, parents can trust the products produced by Radio Flyer including the Radio Flyer Tricycle. The Radio Flyer Tricycle is reasonably priced. What may seem like a steep price for a tricycle is actually not due to the construction and materials used to make the trike. The entire trike is steel and chrome that is durable enough to last years. The trike can also be used by multiple children because of the adjustable seat, and it can also be passed on to other children after the original users have outgrown the trike. For the price tag you can potentially keep the trike for a number of years as long as it is taken care. 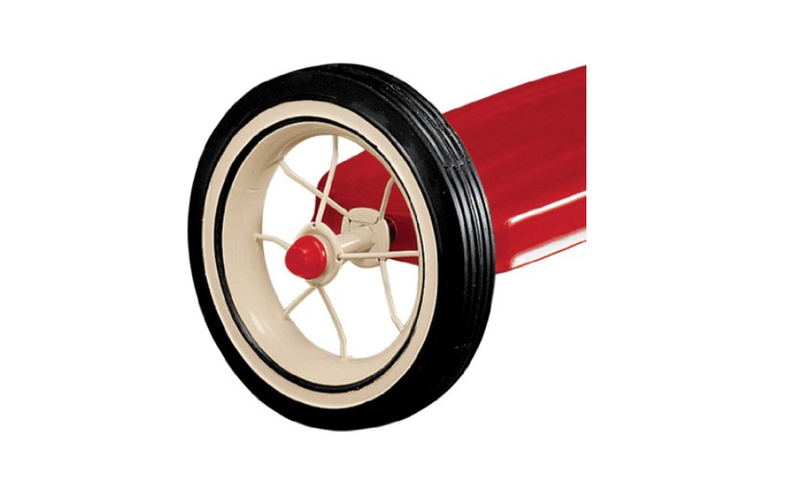 The wheels are also real rubber, which adds an extra element of safety and luxury to the trike, that will also add to its lifespan and durability. Moreover, the offered price seems like a good one for a piece of American history that has been manufactured for over 100 years. After 100 years of building tricycles and wagons, Radio Flyer’s 10” Red Tricycle is still considered one of the foremost tricycles in introducing children to bike exercise, motor skills, and balance. Learning to ride a trike also produces confidence in a child taking away the fear of trying new things or exploring sports and using their bodies to be more physical. After 101 years, it is easy to trust a product that has the Radio Flyer name on it. The best part of purchasing a toy like the Radio Flyer Tricycle is that your child receives the most benefits in exercise and health from something that is rather simple to use and is extremely safe. Tricycle riding is something that will entertain your child for hours and get them out of the house and moving. 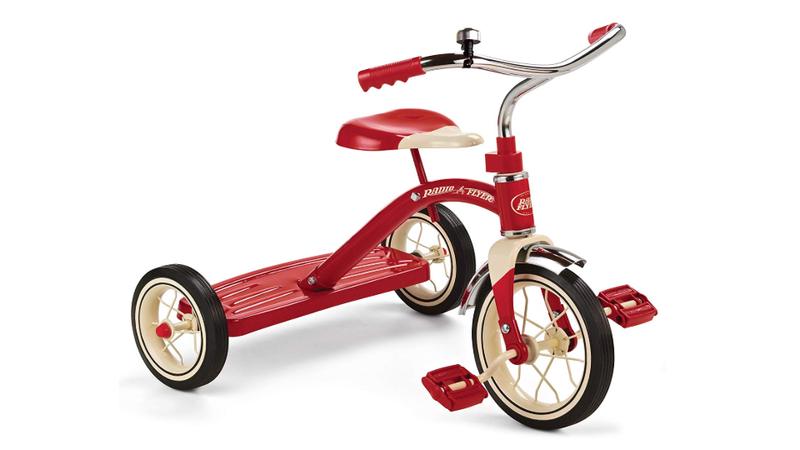 The Radio Flyer Tricycle is a staple in anyone’s toy collection and a must have for all kids.